When we first started visiting Belize's Placencia peninsula more than two decades ago, small towns here were no more than sleepy fishing villages. The only tourists were serious divers and fishermen. Today, things have changed. Just where is Placencia? It's about a three-and-a-half hour drive south of Belize City. Placencia town lies at the tip of a 16-mile long narrow strip of land known as the Placencia Peninsula. The peninsula, only a half-mile wide at its widest point, offers Caribbean beachfront to the east and a protected lagoon on the western side where manatees are often seen. Everything here is close to the water, and all along the paradisiacal peninsula on either side you'll find restaurants, hotels and small resorts, individual homes, and all those new residential communities. Beginning in 2004, condo development took off, and now some 1,500 condos are either under construction or planned, though all this development slowed dramatically thanks to the global recession. One reason for all this development and the changing complexion of Placencia: the road that traverses the length of the peninsula... Not too long ago, it was a rutted mess, making for a long and torturous drive. But just three years ago, paving of the road was finished from the turnoff at Maya Beach all the way to Placencia town at the southern tip of the peninsula. Here are some fast facts about Placencia. There are basically three villages on the peninsula: tiny Maya Beach (more an "area" than a town), the Garifuna settlement of Seine Bight, and Placencia town. 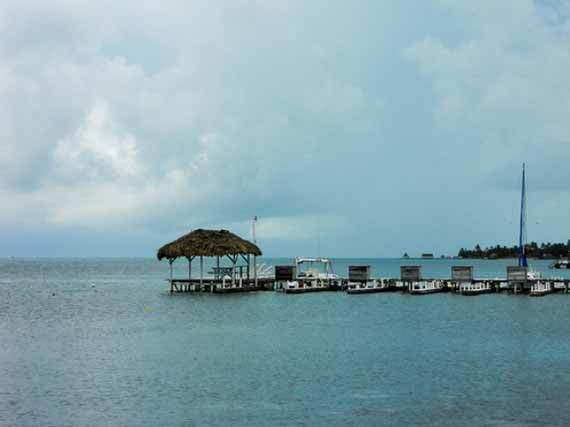 Only a few thousand people live on the peninsula, centered around these three small villages, the largest of which is Placencia town with about 1,000 residents. The weather here is much the same as the rest of Belize. Average daytime temperature is 80 degrees and the average humidity is 83 percent. Generally, the dry season and the most popular time to visit is December through May. June through November is the rainy season. On a fun note, that road we talked about earlier... it dead ends at the southern tip of the peninsula in Placencia town, which itself offers another north/south transportation artery -- the Placencia Sidewalk. It's 4,071 feet long and 4 feet wide, and according to the Guinness Book of World Records, it's the narrowest main street in the world. What won't you find on the peninsula? You won't find cultural activities like theater or orchestral concerts. Instead, there are plenty of outdoor activities and water sports to keep you busy... kayaking, snorkeling, diving, saltwater fly fishing, whale shark watching, and more. You can take yoga classes, get a massage, a pedicure or facial at a rustic-chic day spa, or even join a bowling league at the new four-lane bowling alley. By the way, everyone thought the expat couple that built this bowling alley was crazy--but it's now become one of Placencia's most popular hotspots. Placencia is home to Lobster Fest every June and the Placencia Arts Festival in February. Plus, there are lots of fun casual bars and restaurants and even a few of the upscale variety. You can find a full meal in a local restaurant for a couple of bucks or you can splurge and spend more on a truly spectacular meal for two at an exotic place like Maya Beach Bistro. For medical needs Placencia has a small medical clinic with a physician and nurse, plus an acupuncturist, a part-time chiropractor, and a natural healer. Seine Bight, and Hopkins, further north, also have medical clinics. 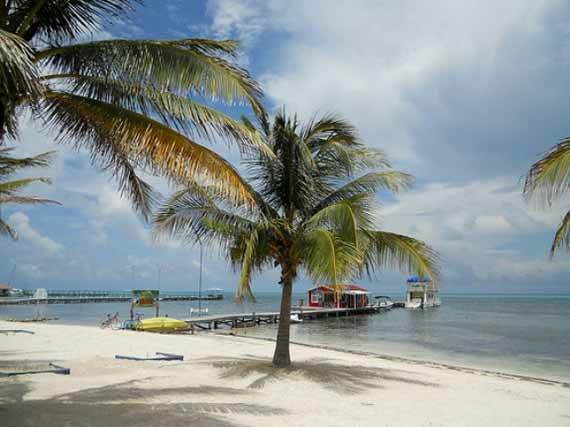 For serious medical attention you'll need to go to Dangriga or Belize City. The Belize Emergency Response Team provides air transportation all over the country in emergency cases. So who's Placencia for? It's for those who want to get away from it all and live a Caribbean lifestyle in peace and quiet... although it should be noted that a big cruise line is now muscling into the action, much to the chagrin of locals. If this looks like your kind of place, you really should plan a visit. It's easy to get to Placencia: just fly to Belize city and then hop a connecting flight or rent a car and drive three hours south via the Hummingbird and Southern Highways. It's almost impossible to get lost in Belize, but you may very well experience "Paradise Found."